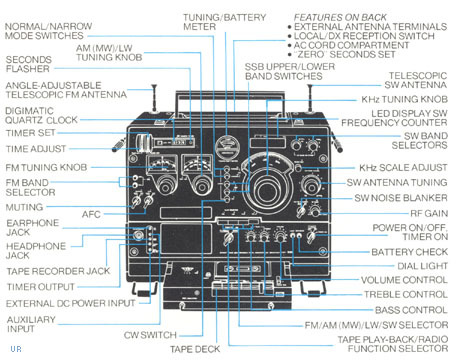 Enhancements include: ¼ inch headphone Jack, S/Battery Meter, Bass, Treble, RF Gain, Dial Lamp, Clock Timer, Noise Blanker, Dial Adjust, Local-DX Switch, Carry Handle, Record Jack, Aux. 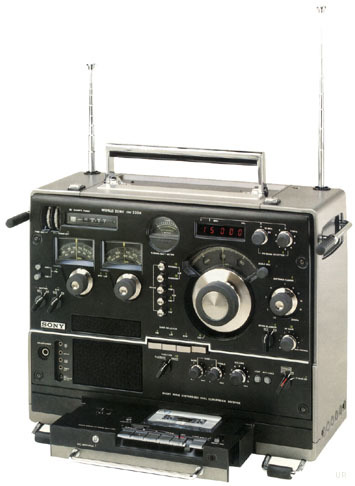 Input Jack, Muting, Slide-Out Cassette Recorder, Antenna Trimmer, Built-in Mic. 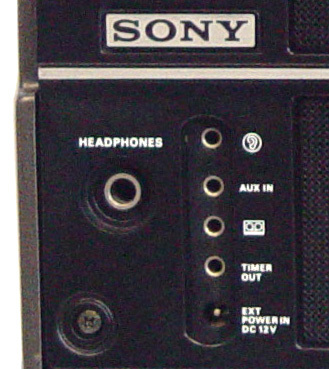 The rear panel features separate antenna terminal pairs for: shortwave, FM band LW/MW antennas. Additionally there is a slide to switch to conventiently select the telespopic rod or external shortwave antenna. Plus there is a Local/DX Switch. 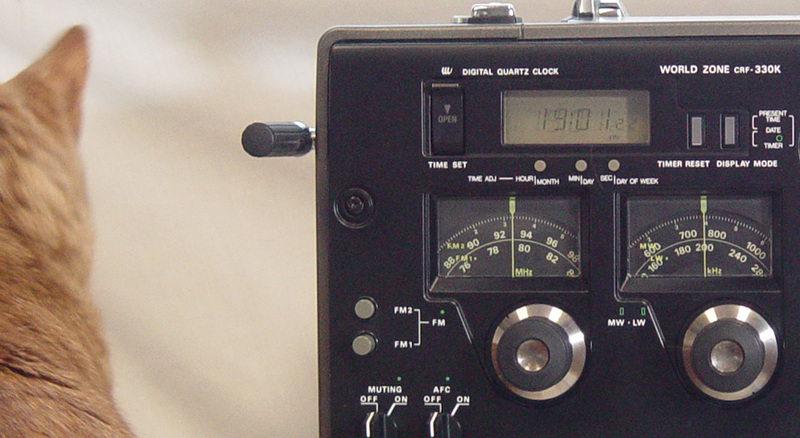 Later production units featured an LCD clock rather than a mechanical digital clock. 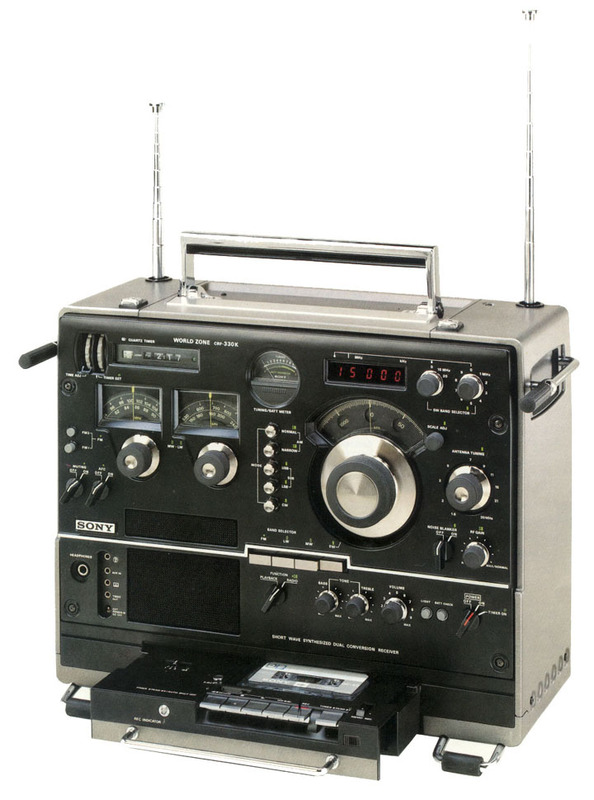 The model CRF-320A was similar, but without the cassette deck. 17.8 x 13.2 x 8.2 inches 33 lbs. Click here to view larger.